Jagriti Children and Youths Concern Nepal (JCYCN) is a non-governmental, non- political and non-profit making organization, which was formed by former child club activists and like-minded youths. 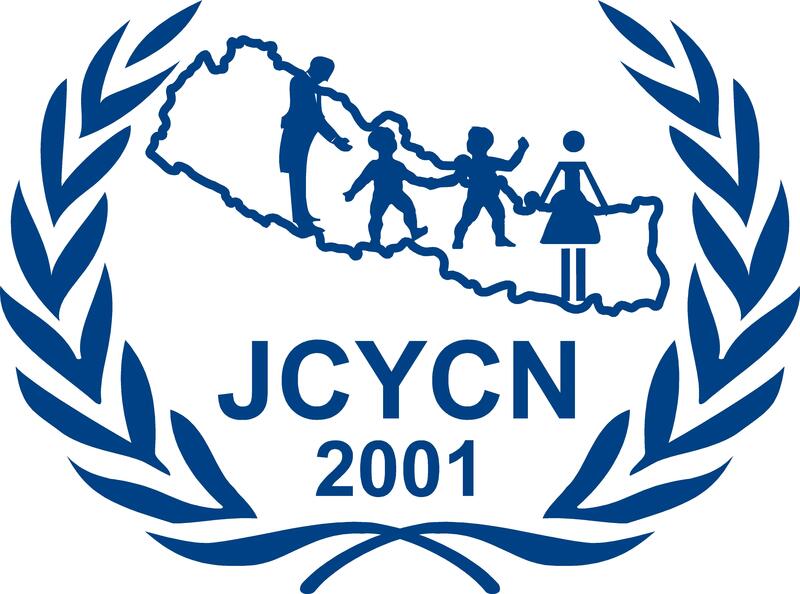 JCYCN is dedicated to the protection and promotion of child and youths rights through advocacy, lobbying and campaigns. It was established in 2001, during the armed conflicts in Nepal. Since then it has been working as the watch-dog for children and youths rights. This is because JCYCN believes it is crucial, in this post-war period and during state rebuilding, that participation grows in every section of the society. Therefore, in this environment JCYCN is at the forefront in raising key issues and ensuring youths and child involvement. JCYCN has thirty three members (male 18 and female 15) who work to serve society. Among them, there are five members who are working as a full time employees and rest of them are working as part time volunteers. There is no funding available to provide salaries to those volunteer members, even though they continue to work and pursue activities with the coordination and cooperation of different organizations and government agencies. VISION: JCYCN visualizes the building of a model society in which every woman, adolescent and child can live a dignified life without any form of discrimination, exploitation or injustice. MISSION: To raise a voice for children, youths and women, by supporting and coordinating with different GOs and NGOS, to protect their right to build peace, prosperity and create a more beautiful Nepal. Also, empowering youths and children in environmental conservation, disaster reduction, economic access and the establishment of meaningful social activities. GOAL: To contribute to the development of a fair and just society by strengthening the capacity of community members, promoting social justice, human rights, peace and by building partnerships at national and international level. To promote the national and international youths and the child rights movement to eliminate all types of injustice through advocacy, lobbing, social mobilization and by organizing training workshops and alliance building programs. To create pressure on the government for the implementation of the commitments made on national and international levels for the rights of children, youths and women. To promote and empower the child and youths clubs by enabling them to be capable of playing a positive role in society, and also providing psychosocial counseling for women, youths and children. To distribute educational materials and give support to women, youths, children and others at risk, especially child victims of the conflict. To empower helpless women, adolescents, children, and youths by assisting them with training in life skills and by launching income generating programs. To create and coordinate libraries to widen the knowledge of children and youths on various social issues and to raise awareness about youths and children at risk of HIV/AIDS, child trafficking, illegal labor and sexual abuse, injured people from different movements, and victims of natural disasters. To provide cultural exchanges between young people of different countries and nationalities, and to raise our voices on climate change issues and its affect upon humanity. The above mentioned projects are being done by JCYCN regularly with joint coordination, collaboration and cooperation at national and international levels of different rights based organizations.